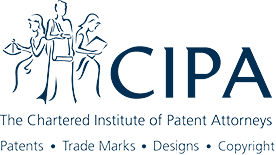 Eric Morehouse and Taylor Wessing’s Chris Thornham conducted a webinar on Tuesday, December 4, 2018, in London for The United Kingdom’s Chartered Institute of Patent Attorneys (CIPA). The webinar was directed to patent enforcement. As discussed during the webinar, failure to defend a company’s protected technology, developed through its own hard fought and expensive research and development activities, can lead to disastrous results. However, many technology companies find patent enforcement proceedings to be financially risky endeavors. Fortunately, litigation financing is now an option to financially de-risk patent enforcement disputes from the patent owner’s perspective.